WELS rating: 4.5 stars, 60L/wash. Energy rating: 4.5 stars, 244 kWh per year. This model has been approved for the Asthma Council Sensitive Choice endorsement thanks to our SteelSeal solution. 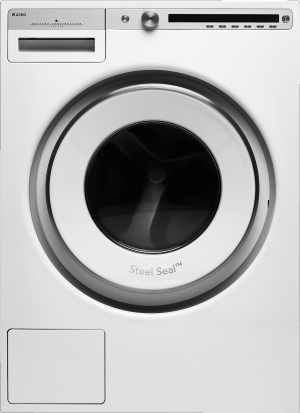 SteelSeal provides a more hygienic wash by eliminating the rubber door bellow that can trap dirt and grime, causing mould to build up over time. Front loading washing machines have become increasingly popular since the turn of the 21st Century. 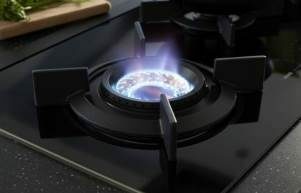 Environmentally friendly front loading machines are the natural choice for home owners who appreciate stylish and energy efficient appliances. ASKO development leads the way with features and functions that save money while minimising wear and tear on clothes. The ASKO W4086C.W.AU Front Loading Washing Machine is an example of the integrated approach, where form and function exist in perfect harmony for a superior wash.
What are the benefits of a front loading washing machine? Before deciding on an appliance, it’s worth weighing up the advantages of front loading washing machines. 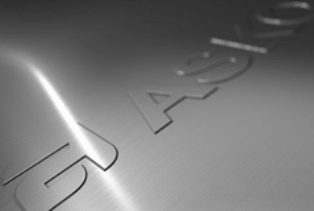 ASKO product development has always been user-focused for creation of appliances that are reliable, strong, easy to use and easy on the eye. Here are just a few benefits of front loading washing machines. 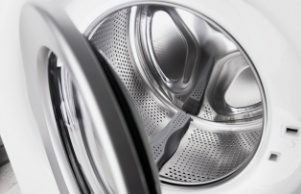 A cleaner result without damaging clothes:Front loading washing machines do away with the central agitator necessary in top load washers. Gravity assisted tumble washing of front load machines removes the potential for catching stray threads and ripping clothing, a scenario all too common with their top loading counterparts. Run fewer wash cycles: As front loaders don’t require a central agitator with large rubber fins, the entire cavity is dedicated to fitting more clothing items inside the machine. In other words, with a front loader you can wash less often, with superior results. Water and energy saving: On average, front loading washing machines use one-third the amount of water, energy and detergent. The initial investment in ASKO style will be appreciated when you notice savings on water, energy and shopping bills every month. Reliability: Front loaders have less parts, meaning less chance of the machine malfunctioning or breaking. Reliability also includes harmony with natural gravity tumbling instead of central agitating that is tougher on washing machine hardware. Quieter operation: ASKO front loading washing machines feature vibration control for stabilising the internal drum, minimising unbalanced rattling for quiet efficiency at any time of the day. What is the capacity of this washing machine? The ASKO W4086C.W.AU front loading washing machine has a 1-8 kg capacity and spin speed of 1600 rpm. With a 2000 W heater capacity and 60 litre drum volume the W4086C.W.AU is deserving of its 4.5 star energy rating and 5 star water rating. The machine weighs 75.5 kg, making it an incredibly sturdy and stable appliance capable of handling the toughest wash.
With noise levels of only 77dB maximum, washing can be a household duty that goes on behind the scenes instead of an ear-splitting distraction. ASKO front loading washing machines are also designed for versatility, accommodating every type of wash. Run modes include Normal mode, Green mode, Allergy mode, Speed mode and Intensive mode, ensuring a sparkling clean and healthy wash every time. What are the programs and functions? This is where the ASKO W4086C.W.AU really stands out from the competition. An impressive array of programs and functions are easily accessed from the high-definition control panel, allowing you to personalise the washing experience for even the most delicate of clothing items. All expected wash cycles are on offer including tailored selections for everyday wash, cotton, wool/hand wash, dark wash and mix/synthetics. With the W4086C.W.AU your clothing and other items will last for many years, with far superior results to those of older, less efficient appliances. The ASKO W4086C.W.AU even includes anti-allergy programs for cottons and synthetics, along with super rinse function, super wash and prewash options. 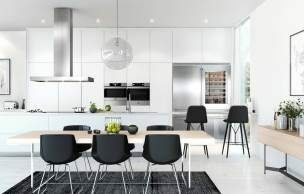 Your family’s health is important to ASKO innovators who are dedicated to the best appliance manufacturing for all Australian households. 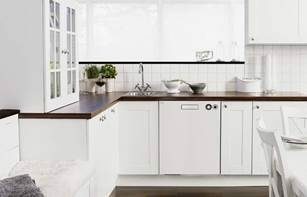 Scandinavian style allows form and function to coexist in harmony, including seamlessly integrated features for easy cleaning, allowing your appliance to look showroom fresh at all times. How much water does a front loader use? 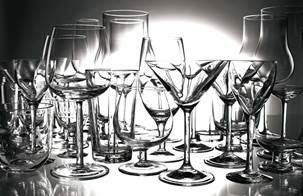 In times where environmentally-friendly solutions are gaining traction, ASKO stands tall. Development of the best front loading washing machines focuses on functionality, with every component designed to fulfil multiple purposes. This includes water-wise solutions that deliver outstanding results without diminishing precious resources. Front loading washing machines use approximately one third the water of upright models, making them the sustainable alternative worth serious consideration. Are front loaders easy to use? ASKO front loading washing machines are specifically designed to make life easy while always looking their best. ASKO development includes ergonomic design principles that focus on user convenience, superior wash capabilities and self-cleaning features. ASKO front loading washing machines make life easy from day one with the simple-to-navigate display panel that guides the users for every type of wash. The ASKO W4104C.W.AU makes a real statement, with sleek, seamless construction using sturdy technologies that include SteelSeal doors without rubber components, Quattro shock absorber legs, ActiveDrum automatic cleaning and SensiSave intelligence that automatically adjusts the water level with every load.